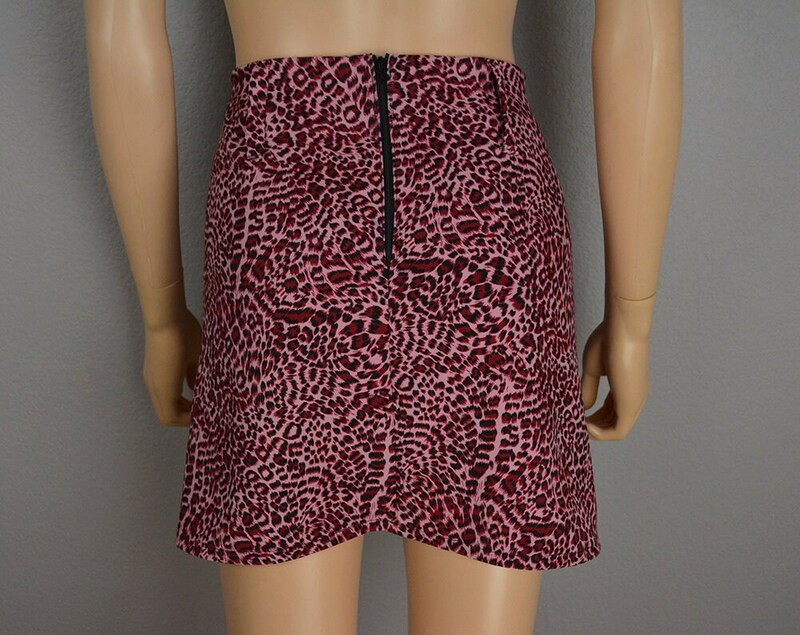 Super fun and bold leopard print mini skirt for sale from the 90's. This is a handmade piece, but it was very nicely constructed. It is in excellent condition. It has large belt loops in case you want to pair it with a belt. 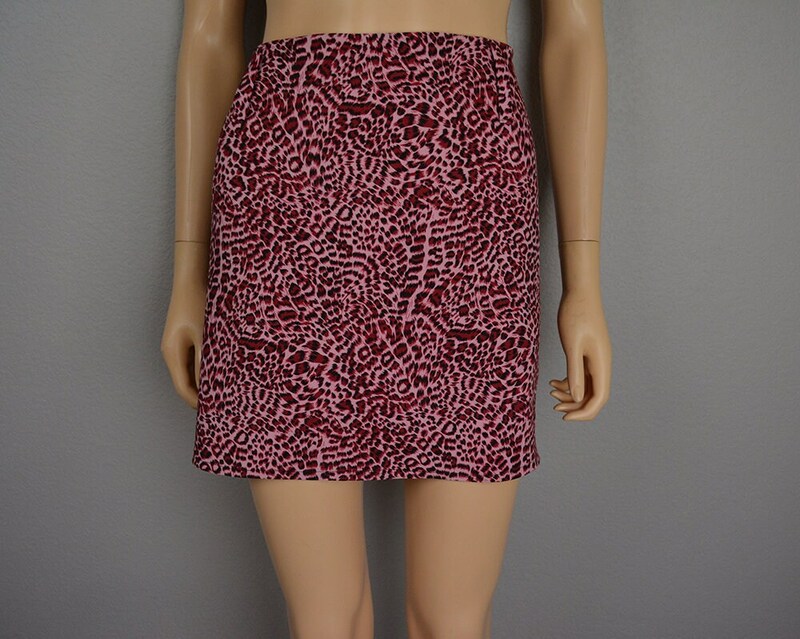 This would be excellent club or festival wear. Brand: None, it appears that it may have been handmade. Size: No size tag, but I'd estimate it to be a 12 based on the measurements. It is not very stretchy.